"Summer Nightastic!" starts official on June 6th. However, if you are an Annual Passholder you have the opportunity to view the festivities in advanced on Saturday June 5th. Walt Disney World is bringing back the beloved Main Street Electric Parade and the new Summer Nightastic! Fireworks Spectacular. 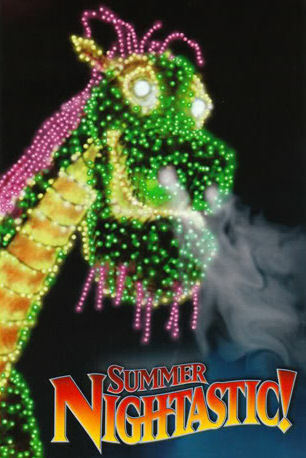 Passholders can view the Main Street Electric Parade at 9 pm and 11 pm and Summer Nightastic! Fireworks Spectacular at 10 pm. If you are viewing the fireworks you'll need to pick up your special glasses from the Rose Garden between 4 pm and 8 pm on the night of the event. I'll be checking these both out since it will be the last night of my trip. I'll have a report along with photos when I return. I can't think of a better way to end my trip that with a sneak peak of these two shows.